The surprise declaration of a “caliphate” by jihadists accused of committing atrocities in Syria and Iraq has provoked an outcry even among Islamists who dream of a state under Sharia law. The caliphate, an Islamic system of rule, was abolished nearly 100 years ago, although many Arabs and Muslims still associate it with a golden age. But this week’s announcement of a caliphate by the radical Islamic State (IS) group appears to only appeal to fanatics. Lebanon’s Jamaa Islamiya, which is the local branch of the widely influential Muslim Brotherhood, lashed out at the announcement and called it heresy. Even more hardline Salafist Muslims dismissed the call. “We want a caliphate; it is at the core of our ideology,” said Sheikh Dai al-Islam al-Shahhal, founder of Lebanon’s Salafist movement. 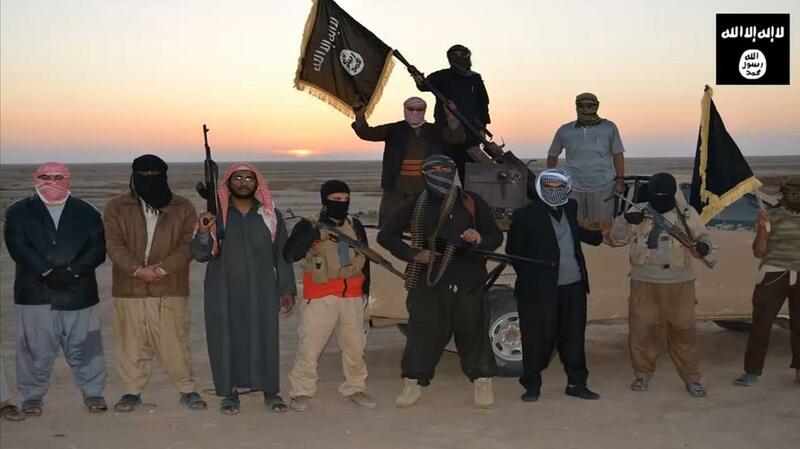 IS has among its ranks thousands of well-armed fighters, many of them foreigners. Its bid to annihilate all those who refuse to pledge allegiance to its project has raised the wrath of most other fighters. “They believe they are the only Muslims,” said Radwan al-Sayyed, who teaches Islamic studies at the Lebanese University. But thanks to their “capacity to destroy, they will last for (only) months,” he told Agence France Presse. “All Islamist groups want the caliphate,” said Mathieu Guidere, who teaches Islamic studies at France’s University of Toulouse. But IS, which operates in Syria and Iraq and was formerly known as the Islamic State of Iraq and the Levant, “is equated with terrorism and massacres; it has a bad track record”, Guidere told AFP. IS chief Abu Bakr al-Baghdadi’s designation as “caliph” — or leader of all Muslims, and successor to the Prophet Mohammed — has shocked most Muslims, even jihadists, who have rejected the idea outright. Al-Azhar, a leading authority of Sunni Islam, “believes that all those who are today speaking of an Islamic state are terrorists,” its senior representative Sheikh Abbas Shuman told AFP. “The Islamic caliphate can’t be restored by force. Occupying a country and killing half of its population… this is not an Islamic state, this is terrorism,” Shuman added. In Saudi Arabia, bastion of Sunni Islam and home to the religion’s holiest places, al-Riyadh daily ripped the caliphate as being “no more than one person heading a terrorist organization”. Sunday’s announcement by IS comes amid a major offensive it is spearheading in Iraq, capturing large swathes of territory from government hands. The group has also secured fresh gains in Syria, where it is firmly in control of areas in the north and east of the war-torn country. Islamist rebels in Syria, who are fighting both IS and President Bashar Assad’s regime, have branded the caliphate announcement as “null and void”. Baghdadi, whose group was once allied to al-Qaida, embarked on a collision course last year with its leader, Ayman al-Zawahiri, who anointed another group, the home-grown Al-Nusra Front, as its franchise in Syria. Abu Maria al-Qahtani, Al-Nusra’s authority on Islamic law, has accused IS on Twitter of “excessive zeal” and branded it “a disaster for the Islamic nation”. The caliphate lasted for 14 centuries until it was abolished by Turkish ruler Mustafa Kemal Ataturk in 1924. For many Arabs, it was synonymous with legendary caliphs like Harun al-Rashid, and of scientific and commercial development. The era also reminds many of literary giants like Abu Nawas — “the poet of wine and revelry” — and architectural beauties like the Alhambra palace in Granada, Spain. But “after a century of colonialism and Arab nationalism,” most Arabs and Muslims do not actually want the caliphate to be restored, said Guidiere. “As for people in the West, all they know (about the caliphate) are (stories from) the 1,001 nights,” he added. Nonetheless, for a small minority of Arab or European jihadists, the idea remains appealing. “The utopia is very attractive. The jihadist project draws people who challenge the system, as was the case with communism in the 1960s,” said Guidiere. But unless IS is stopped in its tracks, the group will only gain strength, thus “making more enemies”, said Sayyed. Even if IS’s days are short, it will only disappear “after horrible massacres, and more destruction,” he added.